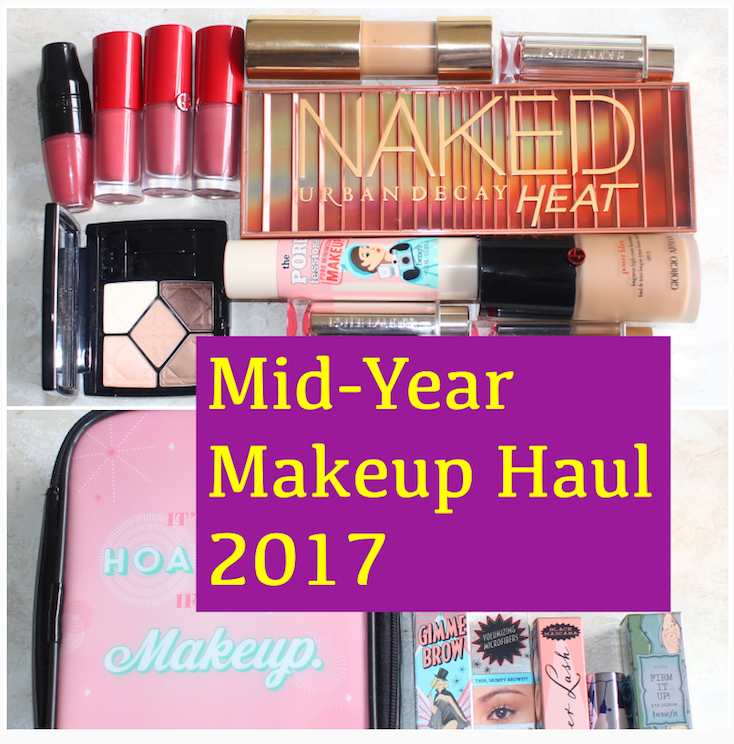 Mid-2017 Makeup Haul, Including 10 Lipsticks! I usually go on two makeup shopping-sprees in a year - the first one is around June-July, and the second one is around Christmas/Boxing Day, to take advantage of the sales. This year, my haul was mostly from Harvey Nichols (I missed a gorgeous GWP by one day; can you believe it? ), Selfridges, and Debenhams. The haul included 10 lipsticks, but just the two eye palettes. But why am I talking about it? You can see my haul for yourself further below. Scroll down to see my mid-2017 makeup haul from Harvey Nichols, Selfridges, and Debenhams. Here's the haul video, including my first impressions. Please subscribe, and do give me a thumbs-up!